Carol-Ann from Leep the Bridge shares how one idea has become something worthwhile for themselves and others. Hi Carol-Ann,can you tell us briefly about your organisation? Leep the Bridge aims to help people who want to socialise with each other through plenty of fun and engaging activities; and it is fun. Fun for everyone involved. The Bridge itself is part of the learning disabilities service of Health for All, a community health development organisation that engages with and improves disadvantaged communities. We operate as an independent project with our own budget, so we’ve got a few staff and employ a team of free-lance tutors for some of the activities we offer like dance, arts and crafts – plenty of activities to choose from! 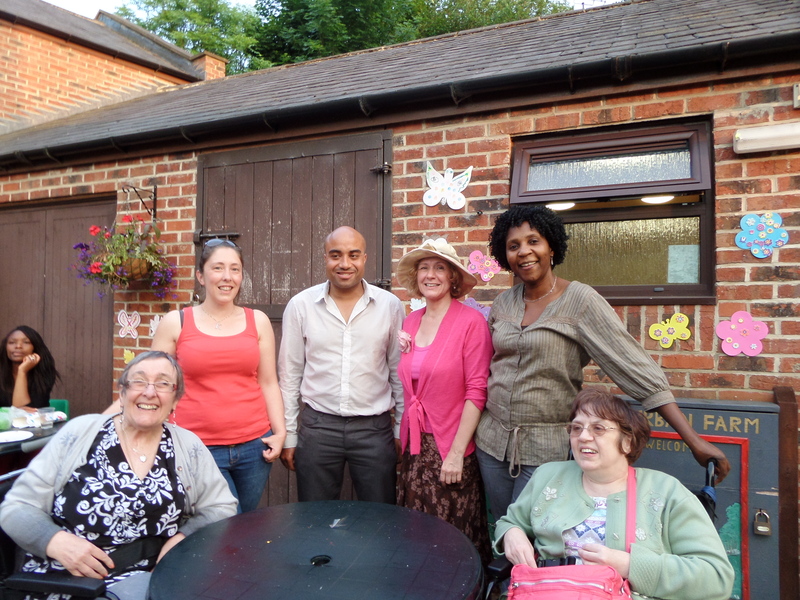 We also have great volunteers working with us – one who was with us for 4 months and has just left to start a paid job. It’s nearly three years now since we started the service and we’ve had great fun in that time. We have around 46 customers who attend 1 to 3 days a week and we also make sure that customers are supported to undertake paid or voluntary work. What are the needs of the people who use Leep the Bridge? Well we came up with the idea of staging a regular monthly dance club nights for adults with learning disabilities because we’d been aware of the demand and interest for a while. The little ‘push’ we needed for taking this further, was after the success of the Disco and Barbeque for the Learning Disability Week last June. We played a major part in the organisation of the event by suggesting and arranging the venue, hiring the DJ, making decorations. It’s one of our customers who provided the musical entertainment to welcome guests, this went down very well and the evening was a great success and the people who attended asked for more of those types of events to take place more often. There is the Beautiful Octopus Club, which is held twice a year but apart from that event, the opportunities for adults with learning disabilities to access a basic good night out for dancing and ‘clubbing’ are few and far between. So when we decided to carry this idea over, we knew that two other organisations Leep 1 and Beat It had similar ideas. We arranged to meet up and decided that we could work in partnership to provide an event per month, particularly as Leep1 and ourselves share some of the same customers. What difference do you think your service can make to people? What we’re hoping from the club nights is that adults with learning disabilities, as well as their carers, families and friends from across Leeds, can access a diverse but regular monthly night out – a good old ‘bop’! By coming along, people can benefit from social interaction, a bit of exercise and the ‘feel good’ factor that such events provide. Who doesn’t enjoy a good night out! It will also benefit the ones involved in organising the events, people who have learning disabilities themselves and they really do know how to put on a good party! It’s all about boosting confidence, taking some ownership, learning new skills and also being proud of providing a service that people want. In a few words, please describe what makes your organisation a social enterprise? We see ourselves as a ‘self-help’ enterprise as we are run by and for people with learning disabilities. We provide opportunities for these people to be involved in all the different aspects of running their own enterprise such as consulting, market research, idea development and business planning to mention a few. It’s people with learning disabilities who run the show from start to finish; real ownership reflecting what they want to have and how. They’re a core to making these nights happen – from the organisation of the event (setting up, decorating the venue, choosing the theme, organising the caterers and much, much more!) to evaluating the service they’ve provided. From this, we get really important learning points for the next event – what worked really well and what should we think about changing. If people leave with smiles on their faces having had a good night, had fun with old and new friends, it’s been a success. How does your service support people to remain independent? Because people with learning disabilities are involved in the organising of the events, they feel empowered that they are doing something worthwhile for themselves and others. This is particularly for those of our customers who would like to work but for various reasons are unable to. The fact that they are involved in all aspects of this enterprise means that they build on skills that are already encouraged at The Bridge: feeling independent, making decisions, a boosting of confidence, budgeting, engaging with the wider community, working co-operatively and of course developing new ones. As for the ones who attend these events we hope that it helps them widen their choice of activities, helping them gaining self- esteem, social skills and increasing their circle of friends. Many thanks to Carol-Ann for the interview and can we have an invite to the next event! Sounds like a great night out! If you’re interested in joining in the nightclub events, please contact Carol-Ann at Leep the Bridge on 0113 2762720.